The Bloopers is a simply elegant and having a totally new header area. 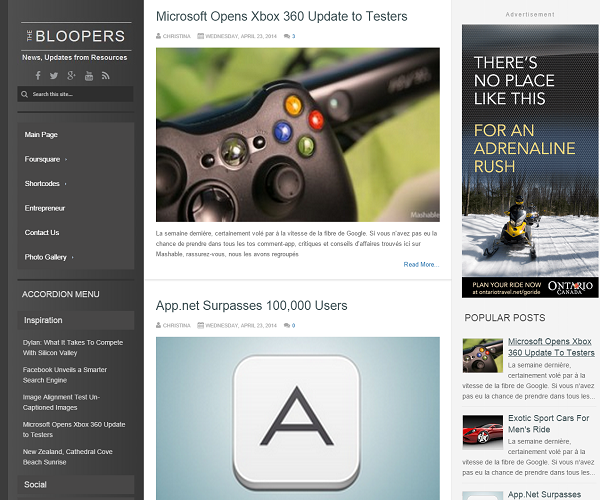 The header area appears a bit more attractive whilst navigation blog from small devices. Accordion Menu is placed on sidebar below navigation menu bar. The bloopers template is lighter in size than any average template.